Samsung still hasn’t gotten around to offering an Android 2.2 “Froyo” upgrade to customers who bought any of the myriad variations on its Galaxy S smartphones, but the company is already getting ready to debut its next big thing. 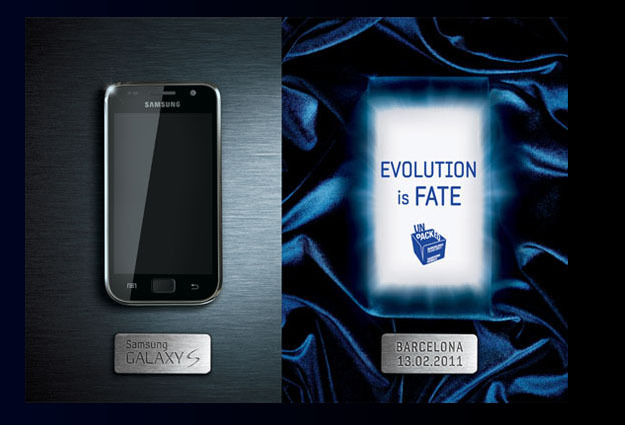 In anticipation of this year’s Mobile World Congress in Barcelona, Samsung has launched a teaser site announcing “something big is coming,” featuring a graphic of a Galaxy S smartphone. The site has no technical details, but a glance at Samsung’s offerings at the recent CES show may provide some hints: the company is working on phones for Verizon that use LTE 4G technology with Super AMOLED Plus screens that are intended to offer even higher display quality than the existing Super AMOLED displays on Galaxy S devices. The CES showings also hint that Samsung is getting ready to embrace near-field communications (NFC) technology and put 8 megapixel cameras (with 1080p high-definition video recording capability) in its phones, along with HDMI output for pushing high-def content to HDTVs.